The Tucson Parks Foundation is a 501 C (3) non-profit that supplements and supports the City of Tucson’s park and recreation projects; particularly those that help at risk youth, seniors and the disabled. 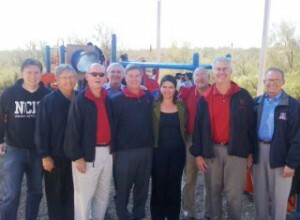 Over the past 30 years the Tucson Parks Foundation has raised over three million dollars for our community. 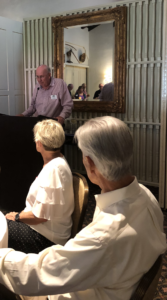 The Parks Foundation membership is comprised of volunteers from the community who give their time and energy to raise much need funds and to work with the Parks Department to implement specific programs and projects. Projects are selected by the membership in consultation with City staff and are projects or programs that are not funded by other revenue sources. Membership in the Tucson Parks Foundation is open to individuals who are willing to commit their time and talents to building on the successes of the past and to enhance the ability of the Tucson Parks Foundation to partner with citizens and businesses to advance our community’s commitment to our parks. Members of the Tucson Parks Foundation are eligible to serve on the Board of Directors of the Tucson Parks Foundation and/or the Tucson Parks Foundation Endowment. Upon check-out you will be charged for a one year membership. All memberships will expire after 365 days. Renewal reminders will be sent to you prior to expiration.